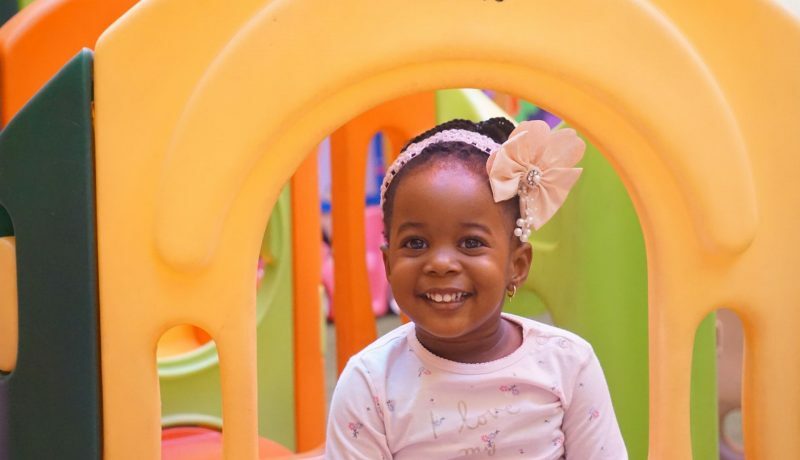 Children are welcome into a safe, stimulating and nurturing environment where attention is paid to their social, physical and cognitive development. In this stage, play underpins all development and learning for young children. The learning activities are designed to ensure children enjoy learning and grow in confidence towards achieving their full potential. The teachers and caregivers provide an unparalleled level of interaction while individually nurturing each child. The environment is designed to keep children excited and busy as they are engaged. This makes for a stimulating day for toddlers. A foundation for reading success begins as early as the first few months of life. Introducing toddlers to books and languages nourishes early literacy development. Toddlers focus on first words and phrases, vocabulary development, following simple directions and identifying and naming familiar items. They continue to develop their languages and communication skill through stories, singing, word games, and conversations throughout the day. Toddlers need an environment that is interesting to explore, safe and filled with caring teachers who respond to their emotional and intellectual needs. 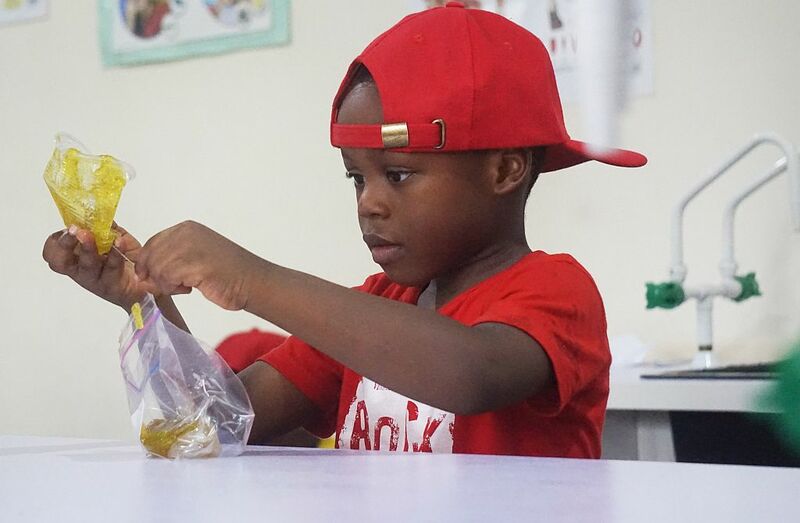 Our program offers children a variety of fun, stimulating activities such as matching and sorting, exploring colours, counting and categorising objects. As toddlers learn more about themselves and their abilities become aware of their social setting, they are provided opportunities for group experience which helps them gain an awareness of others and a group identity. As your child progresses from Playgroup to Pre-Nursery to Nursery, exploring art materials and experiencing music, dance, and drama is key. Our experienced teachers reinforce important development objectives through creative art activities, designed to build relevant skills and ignite the passion for learning. Because children are naturally curious and love to explore the world around them, we have designed our classrooms to enrich their learning experiences and are well-equipped to support safe exploration so your children have room to discover, build motor skills, and improve co-ordination. At these levels, activities focus on experimenting with space to develop balance, hand/eye co-ordination, participation in creative movements to music and more. Your child will love our outdoor play areas that are designed for nature study, climbing and sliding. A child’s world opens up in new ways as he or she improves co-ordination, learn complex games and begin to interact more with their peers. He/she is introduced to activities that will enhance language, math, science and social skill in a logical, natural sequence to encourage learning one step at a time. 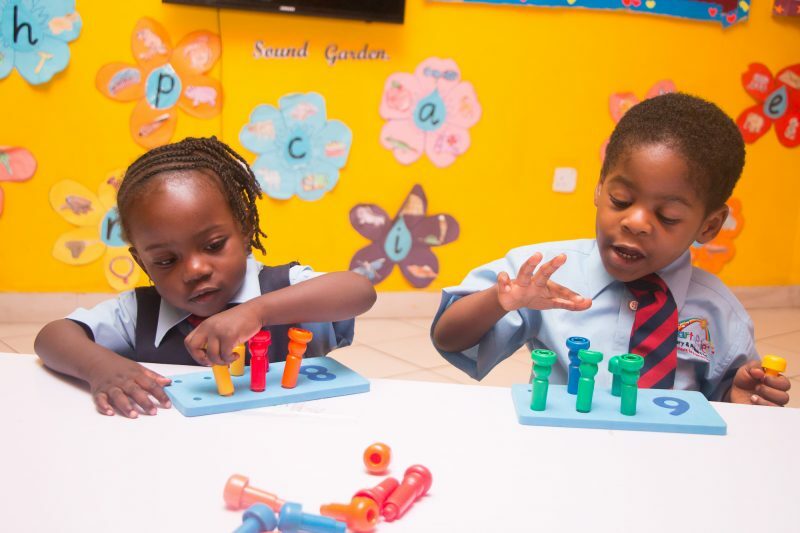 In the Reception Class, children learn to prepare for the school where life skills are learned for a sure footing in our ever-changing world. Each day, our caring, experienced teachers are dedicated to providing a rich, nurturing environment that will prepare your child for primary years. At this level, unique activities are designed to support your child’s development socially, physically, emotionally and intellectually all while your child is having fun. You feel confident knowing that our curriculum is designed to meet early learning standards established by a professional teaching organisation. Plot 1036 Adesoji Aderemi Street, Off Samuel Jereton Mariere Road, After Zone “E” Gate, National Assembly Quarters, Gudu District, Abuja, Nigeria.